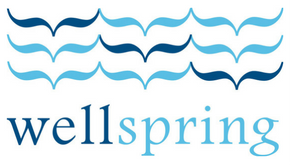 Wellspring is a gathering of women who meet with Jesus Christ, and receive the living water He gives through Bible study, prayer, and fellowship with one another. Each Tuesday morning includes both large group and small group time. All women are invited. This year, our study is on Paul's letter to the Galatians. Childcare is offered through Wellsquirts—a children’s ministry that meets concurrently with Wellspring. For more information, and to register, visit the Wellspring webpage.